Actuarial data that helps establish clear correlations between predicted and actual savings, as well as savings to financial risk, are the keys to unlocking investment in energy retrofitting. ICP adds important additional data points and standardization of data so that it will be possible to differentiate between well implemented projects that follow industry best practices from those projects built to a lower bar. The IEP Model introduces a common language to project stakeholder software applications – it provides a comprehensive, standardized definition of an EE/DR+PV project, as well as how stakeholders can communicate between each other about that project. This will simplify and streamline the process, reduce time and costs for both the consumer and contractors, produce a better ROI for both, and remove a key market barrier for the adoption of both EEM’s and solar energy. Green Button is the common-sense idea that electricity customers should be able to securely download their own easy-to-understand energy usage information from their utility or electricity supplier. Armed with this information, consumers can use a growing array of new web and smartphone tools to make more informed energy decisions, optimize the size and cost-effectiveness of solar panels for their home, or verify that energy-efficiency retrofit investments are performing as promised. Building Energy Data Exchange Specification (BEDES) is a data format designed to support analysis of the measured energy performance of commercial and residential buildings, with fields for building characteristics, efficiency measures and energy use. The BEDES defines and describes these data fields and their relationships. COMNET XML data structures are simple, yet comprehensive enough for the user to ensure full transfer of all relevant building information. The four output reports (Building Summary, Energy Measures, Energy Results, and Representations) will be generated from the XML file. MISMO Commercial Data Standards are for all phases of the commercial mortgage value chain. The MISMO Commercial (Primary) Working Group is the umbrella group overseeing all of MISMO's commercial data standards development, and holds a regular conference call on the first Wednesday of each month to provide\s updates on current activities. HP-XML provides the basis for information exchange between home efficiency contractors and support organizations. The HP-XML schema is a set of rules in XML format that can be commonly implemented and followed by software developers. HP-XML is a BPI Standard and is under review. 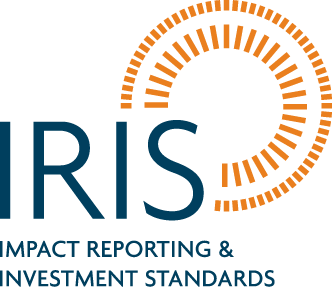 IRIS was developed to provide a common reporting language for impact-related terms and metrics. By standardizing the way organizations communicate and report their social and environmental performance, IRIS aims to increase the value of non-financial data by enabling performance comparisons and benchmarking, while also streamlining and simplifying reporting requirements for companies and their investors. The Building Technologies Program (BTP) Buildings Performance Database is a decision-support platform that enables engineering and financial practitioners to evaluate energy efficiency products and services in commercial and residential buildings. The BPD Database enables analysis of the benefits and risks of energy efficiency projects, helping individuals make informed decisions on completing and investing in these improvements. The Database contains empirical data on building energy performance that can be used to evaluate the energy savings resulting from implementing various energy efficiency projects. XBRL International is a not-for-profit consortium of over 600 companies and agencies worldwide working together to build the XBRL language and promote and support its adoption. The consortium members meet regularly at international conferences, conduct committee work regularly via conference calls, and communicate via email and phone calls throughout the week. This collaborative effort began in 1998 and has produced a variety of specifications and taxonomies to support the goal of providing a standard, XML-based language for digitizing business reports in accordance with the rules of accounting in each country or with other reporting regimes such as banking regulation or performance benchmarking.